The Centers for Disease Control and Prevention has stated that over 30,000 people are killed in auto accidents each year in the United States. In 2005, the impact on victims, families, and friends related to auto accident fatalities cost $41 billion in work and medical expenses. Did a family member or someone that you love become the victim of a fatal auto accident that was caused by another driver or due to circumstances beyond their control? At the law offices of Harbin & Burnett, our Auto Accident Lawyers have great sympathy for the victims of auto accidents and their families and can help to obtain the maximum compensation benefits available for your losses and damages associated with that accident. To learn more about your legal options, call 1-888-821-0247 or complete the FREE Case Evaluation form on this page. Of these fatalities in 2008 and 2009, most of them were caused by pickup trucks; however there were several other types of fatalities caused on our roadways as well. Over the years the fatalities across our roadways have remained relatively consistent throughout the years, while they have slowing been decreasing. This proves that by increasing awareness of accidents, injuries, and fatalities that occur each year may be assisting in reducing the number of car accidents. Unfortunately, all accidents may not be prevented, even if drivers are practicing defensive driving techniques. By practicing defensive driving techniques and obeying all traffic laws, we can each do our part to continue reducing the total number of fatal collisions across our South Carolina roadways each year. Unfortunately, the state of South Carolina has many negligent, careless, and ignorant drivers. 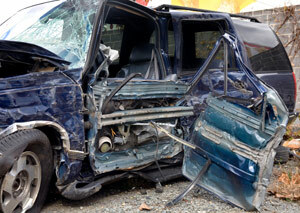 Therefore, there are many contributing factors when auto accidents occur. These accidents can range in severity depending on the type of collision, location, and speed of travel. Our attorneys at Harbin & Burnett have been serving upstate South Carolina for several years have provided thousands of free case evaluations to injured victims and their families. Our attorneys take pride in defending innocent individuals that have been injured due to the negligent actions of another driver and are prepared to defend you with your specific case. For more information, we invite you to complete the Free Case Evaluation to the right or call 1-888-821-0247.